In April 2019, the Canarsie Tunnel, which carries subway riders between Brooklyn and Manhattan, will close for 15 months to repair damage sustained during 2012's Superstorm Sandy. L train service along 14th Street in Manhattan will be suspended during the closure. With preparations in full swing for the L train closure, the Union Square Partnership is committed to ensuring you have the latest information on the NYC Department of Transportation (NYC DOT) and MTA’s plans and how it may affect you. Below find details on construction and implementation efforts that will be taking place in our district in the near-term, key upcoming dates, and resources where you can find additional details on the L train closure and the NYC DOT and MTA’s mitigation plans. We also encourage stakeholders and community members to reach out to MTA and NYCDOT with any concerns. To contact MTA: To send the MTA a note, please click here. To receive reconstruction project email updates, click here. In addition to submitting your comments today, you can also visit www.mta.info/CanarsieTunnelReconstruction for details about the work as it progresses. 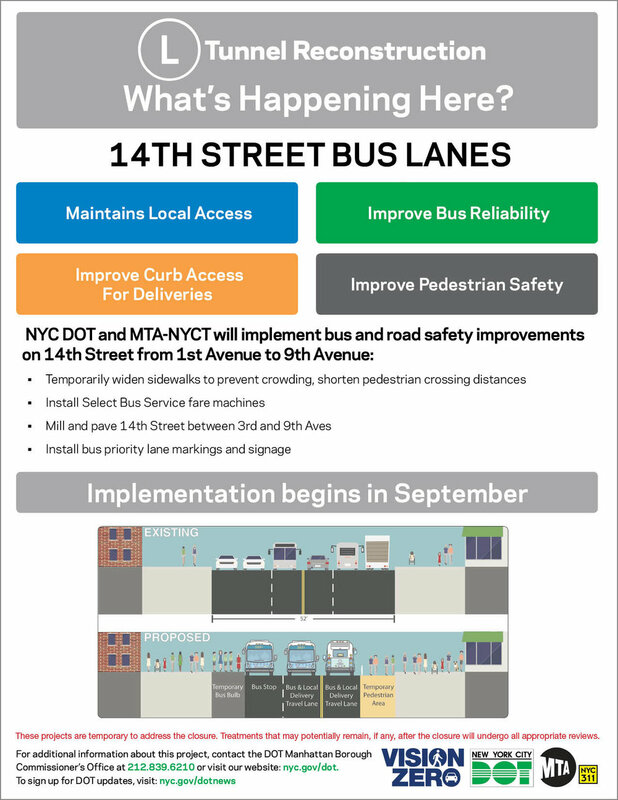 Bus and road safety improvements will be implemented on 14th Street from 1st to 9th Avenue, including installation of Select Bus Service fare machines and marking priority bus lanes. Protected bike lanes are being installed on 13th and 12th Streets. A Shared Street will be implemented on University Place between 14th and 13th Streets, including adding curb extensions, adding pedestrian spaces, expanding bikeshare capacity, and adding traffic calming measures. 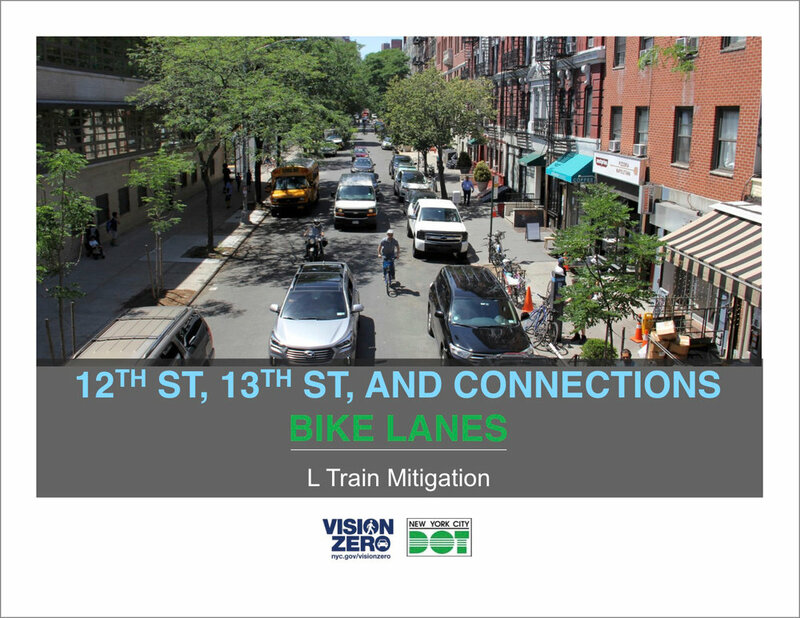 A shared bike lane will be installed on Union Square West from 17th Street to University Place. 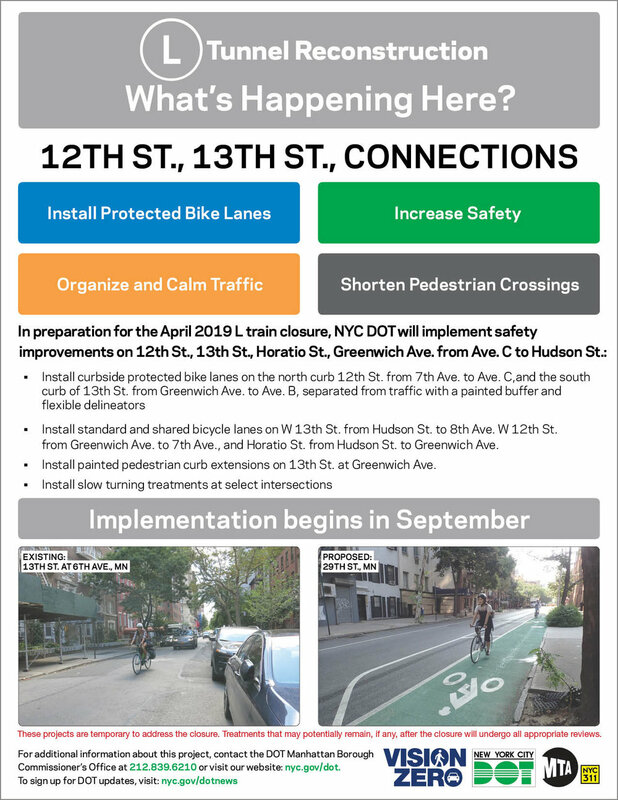 For additional details on work underway in fall 2018, please see the following flyers provided by the NYC DOT and MTA. Click here to view this file . 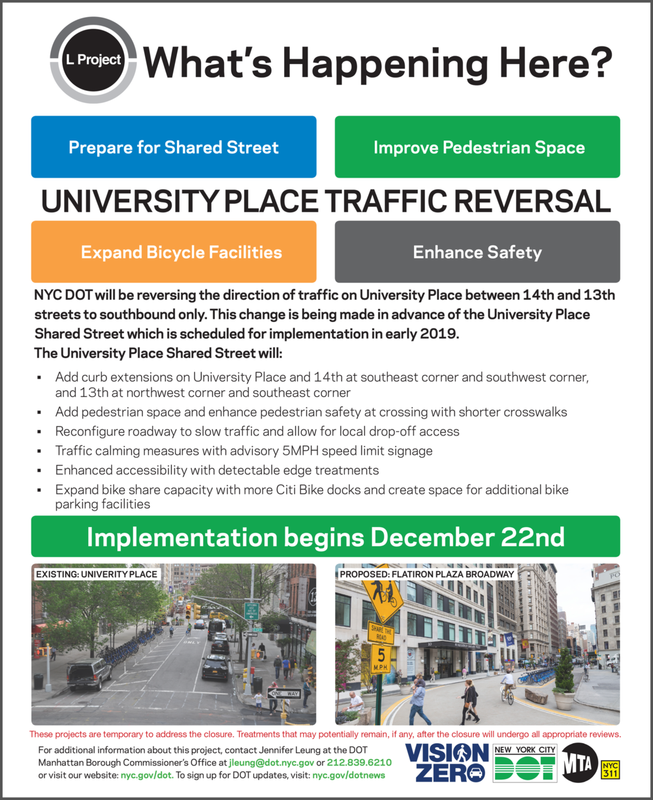 December 22, 2018: Implementation of changes to Union Square West and University Place begins. Sign up to receive the MTA’s weekly newsletter providing updates on construction, transit alternatives, and traffic changes related to the L train closure, and provide feedback on the content you want to receive. Subscribe for Union Square Partnership’s newsletter to receive updates about what’s happening in Union Square and on 14th Street during the L train closure. Read past alerts below. For additional details on work taking place in the Union Square – 14th Street district, please visit our L Train FAQ section.